What you will find in Better Health, Better Life is information gained through a lifetime of study, and actual practice. We provide our readers with the same simple, safe, natural lifestyle strategies that have blessed us with better health! We are natural health and cleansing practitioners. We walk the talk. Better Health, Better Life is our personal testimony! In this book we do not beat around the bush. We get right into the heart of this very serious health epidemic concerning almost everyone on this planet—DIRTY COLON + Toxic System = Poor HEALTH!! Frank and I take our health seriously, although we are not fanatics, well, at least I'm not (lol). 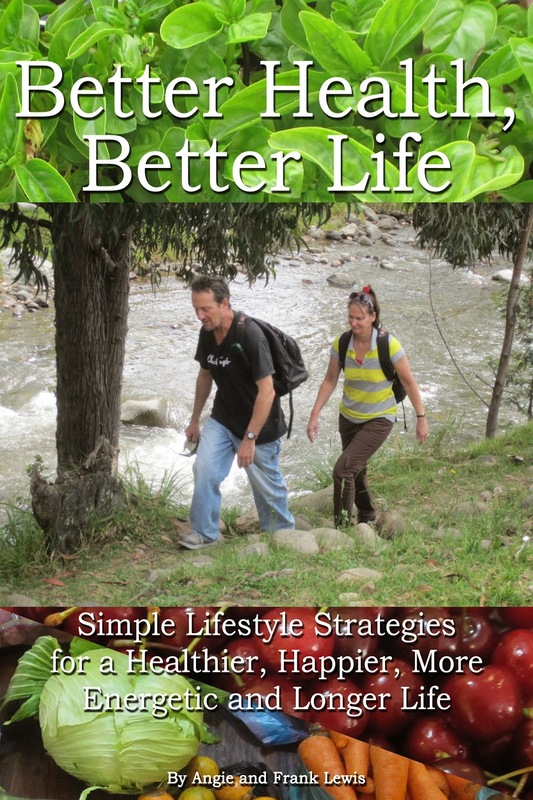 We practice all of the health strategies we talk about in our book Better Health, Better Life and we know that what we apply into our healthy lifestyle works! We want to share with you, dear readers, what we have applied and tested to be positive results for us and many others we know personally. We're not getting any younger and we want to live our lives free of ailments and disease, because who wouldn't want that? No one wants to live their last 20, 30, and 40 years suffering and in pain, right? Better health really does mean a better life! Hello. Yes, just keep doing week two for the full 3 months. Not sure if you noticed, a lot of people miss it. The first week is just 1 teaspoon and then after than to the end of the 3rd month it is 1 tablespoon psyllium. And that's it! Thanks for your support! If you have any more questions about the cleanse, let us know. Frank and Angie.